The globalists managed to finally "squeeze" the main ideologist of the American conservative turn - Stephen Bannon. The conservative politician and ideologist Stephen Bannon, who was also called the "architect of Trump's victory" worked as executive chairman of the American legal-conservative portal Breitbart News Network for six years. For several months after the inauguration of Donald Trump, Bannon served as his chief adviser and was a key strategist in the US presidential administration. Within two months he was also part of the US National Security Council. The dismissal of Bannon from the NSC coincided with the US bombing of the Syrian airbase of Shayrat on April 7, 2017, which de facto meant a 180-degree turn of the White House policy regarding Trump's election statements and his fundamental principle - "America First". The exclusion of Bannon from the NSC, following the forced resignation of Michael Flynn, and the appointment of National Herbert McMaster as national security adviser, was one of the first important victories of the American liberal "swamp." The liberals quickly returned the initiative and began to exert active pressure on Trump. 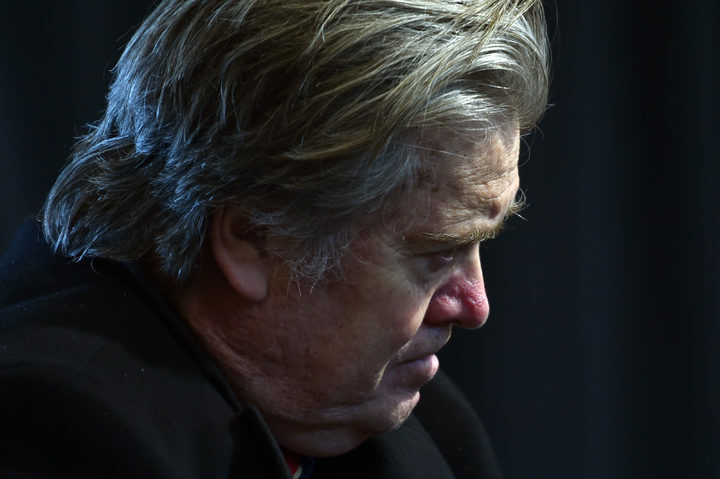 In fact, the removal of Bannon meant not only the refusal of the US president to form his own long-term strategy, but also his capitulation to the agenda imposed on him by the political elite. The victorious, thanks to his conservative and anti-globalization rhetoric, Trump could not withstand the pressure exerted on him and quickly moved on to opportunist positions. After leaving the White House, Bannon returned to work in the Breitbart News edition, which became the mouthpiece of the right-conservative forces. The publication was constantly targeted by liberals, accusing it of racism, anti-feminism, anti-Semitism, and hatred towards migrants. Bannon's departure from the post of executive chairman of the news agency was unexpected for many.. Anyway, the conservative traditionalist pole in American society needs the emergence of a strong leader. Trump's victory in the US presidential elections showed that in American society there is a request for the appearance of such a politician. And despite the fact that the first experience did not lead to proper success, the struggle to dismantle a unipolar world dominated by liberal globalists will continue.